Nic Harte is the only daughter of Jim Harte, a white Zimbabwean business tycoon. 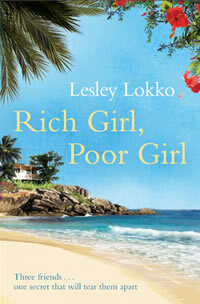 Despite a life of jaw-dropping wealth and privilege, all Nic has ever wanted is for her father to notice her. Caryn Middleton never met her father, but growing up on a tough London sink estate, she’s had other things to worry about – like getting out of the estate and moving on. Tory Spiller just yearns for some space to be herself. Living in the shadow of your dead sister is tough, particularly when she seemed to be everything you’re not. Nic, Caryn and Tory: three girls who form a friendship that should last a lifetime. Until beautiful, ruthless Estelle McKenzie appears on the scene. Estelle has a secret. And, one way or another, she’s going to make each woman pay a very high price for it.